Situated in the heart of the fashionable Mayfair, a magnificent 18th Century mansion first built as a stately town house, overlooking Grosvenor Square is the ideal choice for a peaceful haven. With all the discreet charm of an exclusive private residence, in close proximity to the boutiques and shops of Bond Street and Oxford Street and within easy reach of the City's financial and commercial centre’s. 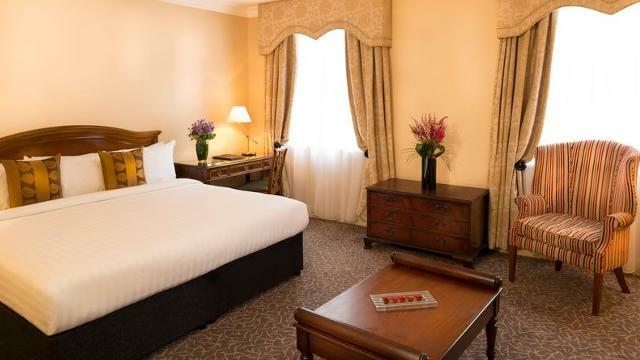 This deluxe property with 336 spacious rooms is traditional and stylish with views of fantastic views over Grosvenor Square or alternatively the rooftops of Mayfair on the upper floors. Avista restaurant, with its private dining room and bar is the perfect setting to enjoy traditional Italian rustic fare along with more modern dishes. Alternatively, if you want to try the best Japanese food in the city, then Shogun is open for dinner offering a full range of cuisine from sushi to teriyaki. The Pine Bar is a great place for drinks in a cosy atmosphere with a live pianist. Cocktails are a specialty, incorporating both classic and innovative drinks. The hotel is a desirable and flexible meetings and events venue. The ballroom together with the versatile syndicate rooms and executive boardrooms make the hotel a prime venue for any type of function. Millennium Hotel London Mayfair is being fully renovated and will reopen in 2019. Is Millennium Hotel London Mayfair your business?